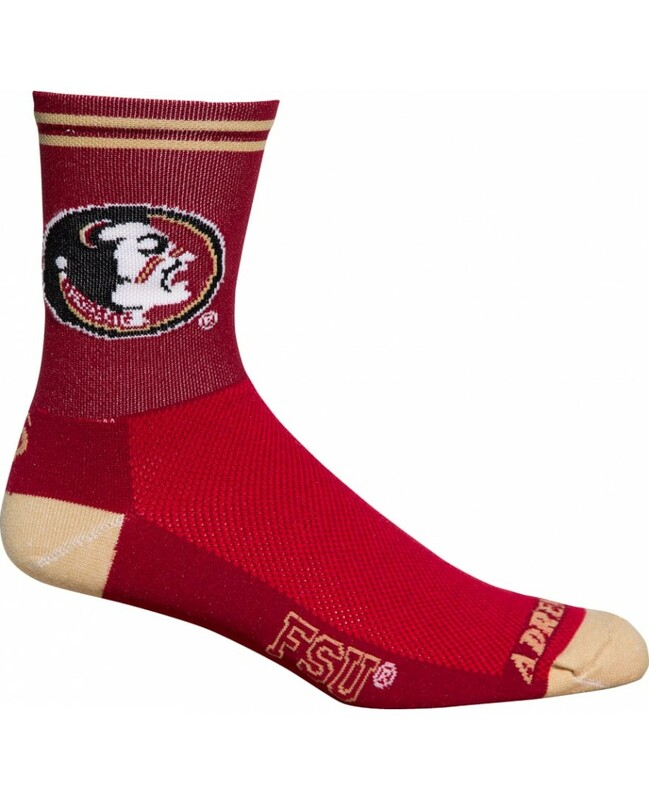 REPRESENT Florida State WHILE YOU RIDE in these officially licensed Florida State Seminoles cycling socks from Adrenaline Promotions. Made in the USA these cycling socks come with a 7" ribbed top cuff knit with lycra nylon to eliminate sagging; reinforced heels and toes extend life in high abrasion areas and are nylon plated to outside of foot sole for lasting durability. CoolMax® EcoMade plated to the inside of foot for maximum moisture transport. Mesh weave instep is lightweight and speeds drying.